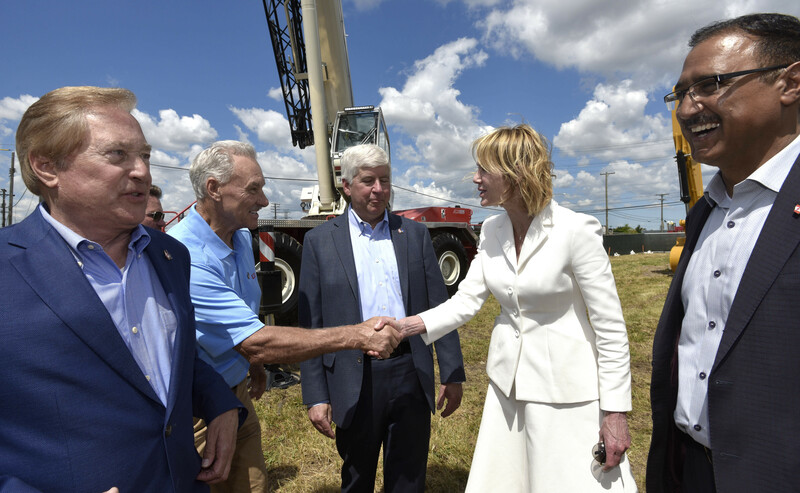 DETROIT — U.S. and Canadian officials touted the friendship between the two countries while acknowledging the economic benefits a new international bridge between Detroit and Windsor, Ontario, will bring. “Make no mistake, we are starting to build this bridge and it’s going to be built and the people of the United States and Canada will be using it very soon,” Windsor-Detroit Bridge Authority Chair Dwight Duncan said at Tuesday’s ceremony. Michigan Gov. Rick Snyder called the Gordie Howe bridge an “economic engine” that will provide good-paying jobs. He also said a second span would provide economic security in the event of an Ambassador Bridge closing.